It has been years and today ABT is no new name in field of automotive engineering, which includes numerous models from the house of Audi and Volkswagen. 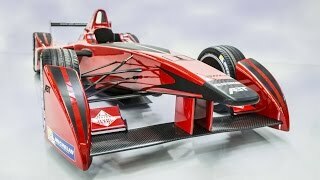 Here today we are not talking about another tuning program by company instead the ABT Sportsline has come up with its all new Formula racing ready vehicle ABT Sportsline FIA Formula E 2014. 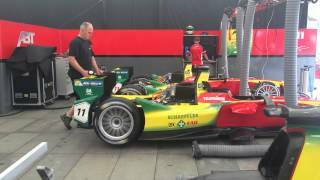 Let us have a quick go through at the details of ABT Sportsline FIA Formula E 2014. A German company primarily into auto tuning and motor racing, ABT has a vast experience of tuning vehicles for Audi, Skoda, and SEAT. The major program they go for is working through the suspension, engine, wheels and aerodynamic upgrades that eventually lead to enormous power and performance hike. ABT has been in motorsport since decades. It started with motorcycle race initially but then overtook the Super Touring Car Cup, Deutsche Tourenwagen Masters and ADAC GT Masters. Moving ahead with time ABT Sportsline has commendably grabbed the applause any tuner/team needs. 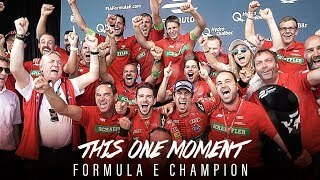 The ABT Sportsline FIA Formula E 2014 comes rumbling total of 272 hp, during its qualifying period. The power comes in two divisions, first being energy saving racing mode under which engine drops 181 hp while upon activating Push-to-pass- button, for a brief period comes thundering another 91 hp taking ABT Sportsline FIA Formula E 2014 to total of 272 hp. With this power when its aerodynamic engineering works, the ABT Sportsline FIA Formula E can sprint to 62mph from standstill in just 3.0 seconds.